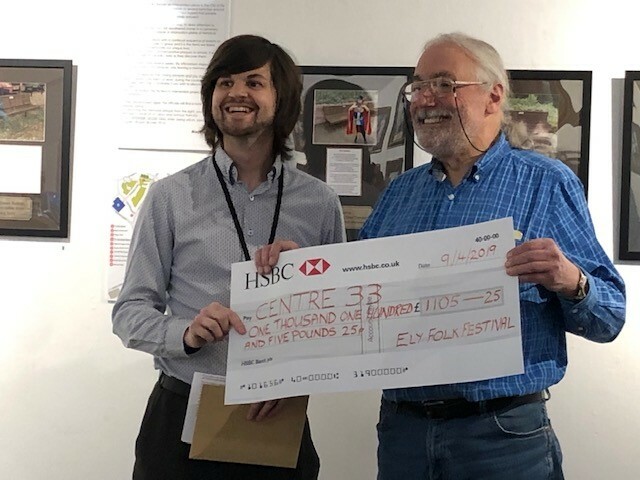 At the festival AGM earlier this week, Andy Wall chair of the festival committee presented a cheque for £1105.25 to Gavin Chappell Bates from Centre 33. Centre 33 was our chosen local charity to support at the 2018 festival. The festival was delighted to support this great local charity that supports young people in the Cambridgeshire and Peterborough area http://centre33.org.uk/help/ely-east-cambs/ . Most of the donation came from our hard working morris sides who collected in Ely City Centre as they danced their way through the 2018 festival weekend. Many thanks to all involved.